Financial considerations make it imperative for anyone seeking a security clearance to fully document their income, expenses, and debts. In particular, if you are an applicant carrying debt, you should document any attempts to pay or resolve that debt. 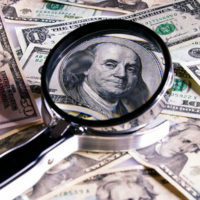 The “inability or unwillingness to satisfy debts” is often a critical consideration in assessing a security clearance applicant’s financial status. Here are a couple of recent examples from the Defense Office of Hearings and Appeals (DOHA), the DOD agency that handles personnel appeals dealing with, among other issues, decisions to deny security clearances. In the first case, the DOD refused to grant the applicant, who worked for a defense contractor, a “trustworthiness” designation due to his history of delinquent debts. More precisely, a DOHA judge found the applicant had $45,000 in outstanding debts. And although the applicant has been gainfully employed for the past several years, the Appeal Board noted he “has not paired or resolved” these debts, which were initially incurred several years ago. The applicant told the Board he planned to seek bankruptcy protection, but he neither provided documentation of this nor any proof of his current income and expenses. Consequently, the Board upheld the Department’s decision to deny the trustworthiness designation. In the second case, an applicant had an outstanding debt of about $10,000. The hearing judge, describing this debt as arising from a credit card, said the applicant “did not show responsible action” or “present evidence of a good-faith effort to pay it.” The judge therefore denied the applicant’s request for a security clearance. However, the Appeal Board remanded the case for a new hearing. The applicant did in fact present documentation that showed the debt was “misidentified” as credit card debt when it was actually part of his mortgage. The applicant did address the mortgage debt to the judge’s satisfaction during his initial hearing, and the Appeal Board agreed that he “reasonably, though erroneously” thought he did not need to also address the $10,000 debt. One of the first things you should do before seeking any kind of security clearance is obtain and review copies of your credit reports. Any kind of mistake or false item may be improperly cited as evidence of your financial irresponsibility. And it is far easier to clear up any discrepancies at the outset then after you have been denied a security clearance. You should also work with a qualified Maryland security clearance lawyer who specializes in this area of the law. If you are seeking a clearance–or have been previously denied one–call the offices of Henault & Sysko, Chartered, today at 410-768-9300.